The Public Accounts Committee (PAC) is expected to apply greater scrutiny when it comes to State institutions and their spending. This is according to the PAC’s Chairman, Irfaan Ali. The Executive Member of the People’s Progressive Party (PPP) said that the need for this cannot be underestimated, especially when one sees the manner in which some ministries and other State institutions are approaching expenditure management. 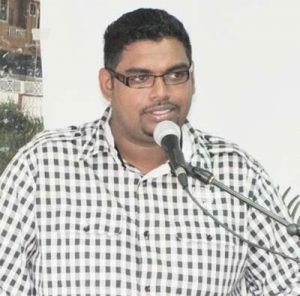 In this regard, he cited the recent procurement of drugs and pharmaceuticals by the Georgetown Public Hospital Corporation (GPHC) and the rental of the controversial Sussex Street Bond. “It is clear that the terms for expenditure management are not clear at GPHC and this was demonstrated in the recent debacle it was caught up in for the procurement of emergency drugs and pharmaceuticals as awarded to four companies,” Ali expressed. The PAC Chairman said that the Committee is interested in ensuring that tax dollars are not wasted, and it will employ its powers in this regard. He noted that the PAC has the authority to request special audits and/or reports on specific problems which fall within the scope of the Committee’s work. He said that the PAC, where necessary, will request such reports be done. The PAC is the standing committee that exercises supervisory oversight of the functioning of the Audit Office. The Committee exercises powers in keeping with the Evidence Act, Chapter 1:08, which allows for the summoning of witnesses to give evidence and/or provide documents to it. It also has penalties for non-compliance without proper reason. Furthermore, the recommendation for the PAC to widen its scrutiny was recently made by Chartered Accountant and former Auditor General, Anand Goolsarran. His suggestion was made in wake of the damning findings which were uncovered by the forensic audits that were launched by the coalition administration. Goolsarran had told this newspaper that he found it disappointing that the PAC did not examine the accounts of public corporations, other agencies in which controlling interest vests in the State, and statutory bodies. Furthermore, Goolsarran said that the task is an enormous but necessary one, and therefore, the PAC will have to seriously consider “re-engineering” its approach to the examination of the Public Accounts. In this regard, he commented that there is a model that the United Nations uses which is worthy of serious consideration. He explained that it involves having a committee of experts examining these accounts first and submitting the results to the PAC. In this way, Goolsarran said that there will be no need for the PAC to carry out any detailed examination, as it will rely on the work of the committee. It was in May 2015 that the Granger-led administration began expending some $133M of taxpayers’ dollars on 45 of 50 forensic audits to ascertain how the assets of the state were sold, disposed of or transferred under the previous administration. The remaining five audits were sponsored by the Inter-American Development Bank. Several audits were also launched in July 2015, while others started in later weeks.